Bubble wrap is a transparent plastic packaging product that consists of small spheres of air bubbles, which protect fragile items. One of the most widely used forms of protective shipping, bubble wrap is a $3.5 billion dollar industry that has gained recognition for its disadvantages. Generic bubble wrap's negative aspects include the product's biodegradability, disposable means, storage and fire hazards. Until 2008, bubble wrap was made using plastic polymer film. The material is considered ecologically toxic, as it takes hundreds of years to disintegrate in landfills. Alternatives are available that can break down within 90 days, though plastic polymer film is still used by a majority of brands. Because plastic polymer film breaks down slowly, bubble wrap causes a significant environmental problem by taking up space within landfills worldwide. Many cities--such as Manchester, New Hampshire--have created recycling programs for bubble wrap, which allows for approximately 21 percent of the city's trash to be recovered through recycling. Bubble wrap's bulky formation causes storage problems both in homes and company workrooms. Often stored around a cardboard spool, bubble wrap's plastic air bubbles take up unnecessary space. This packaging material is also considered too immense for protecting smaller packages, including those shipped in a standard envelope. While it takes 500 degrees of heat for generic bubble wrap to become flammable and 200 degrees to melt, the product can catch on fire easily and quickly due to the mix of plastic spheres and oxygen. 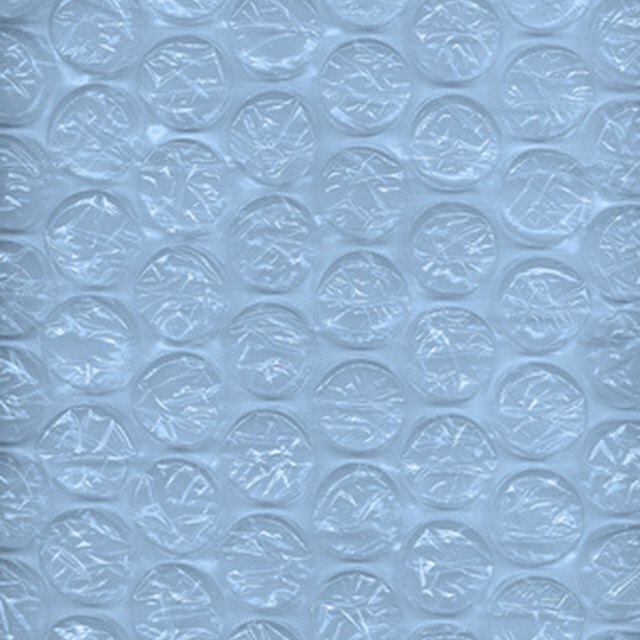 Bubble wrap can also give off irritating vapors that cause breathing problems if inhaled. To prevent bubble wrap from causing a significant fire, it should be kept in an area protected with automatic sprinklers, and away from flame, sparks and high heat.